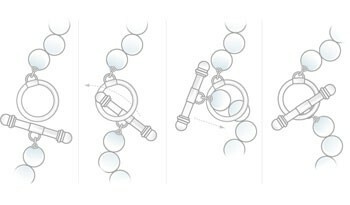 – Toggle Clasps work by using a long metal bar that goes through a smaller metal ring. Though they are present in watchmaking, it is far from being popular. As luxury watches can be pricey, many consumers don’t feel confident using toggle clasps to secure such an item of value.